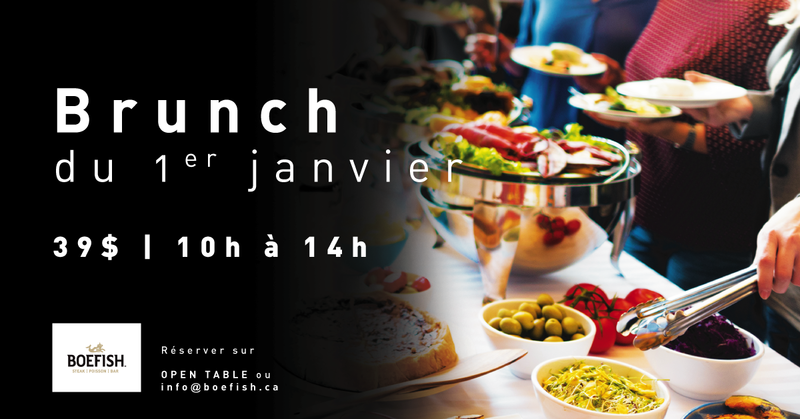 This January 1st we will host an incredible brunch at both Boefish Sherbrooke and Boefish Saguenay: let’s celebrate the new year. Let’s start this new year with a beautiful brunch, and take a delicious brand new start! Soup, chicken, roast beef, wide range of pasta, of fresh fishes, meat and sea food. Hours: 10 am to 2pm.